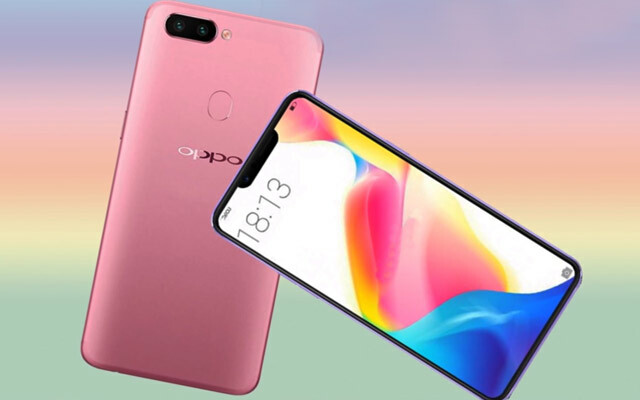 Oppo has recently announced its Flagship duo for 2018 that were called Oppo R15 and R15 Pro. Being the world’s 5th largest manufacturer, BBK Electronics will take the chance to show a glance of what people would be expecting from Vivo and OnePlus which are also part of the trio owned by BBK. First, let us discuss their appearance. Both their dimensions are very similar, the R15 has 155.1 x 75.2 x 7.4 mm, and weighs 175 grams but the R15 Pro has 155.3 x 75 x 5.5 mm and weighs 175 grams as well. They are both built in aluminum frame with glass back and front protected by Corning Gorilla Glass 5. The R15 has a 6.28 inches AMOLED, 1080 x 2280 px, 401 ppi and 2.5D glass. Just like the R15 pro. Both of them run on Android 8.1 Oreo with ColorOS 5.0 on top of it. Things begin changing with the chipset that in the case of the R15 is Meditek Helio P60, 4×2.0 GHz Cortex-A73 and 4×2.0 GHz Cortex-A53, octa-core CPU, Mali-G72 MP3 GPU and a RAM of 6 GB; while the R15 Pro performs a Qualcomn SDM660 Snapdragon 660, 4×2.2 GHz Kryo 260 and 4×1.8 GHz Kryo 260, octa-core CPU, Adreno 15 GPU with 6GB of RAM. Regarding the storage space, the R15 has 128 GB with microSD hybrid slot for expansion, exactly like the R15 Pro. The 15 has a dual rear camera of 16 MP + 5 MP but the R15 Pro has dual 16 MP + 20 MP for rear camera. This is where we can actually see a big difference in their performance, since their frontal camera are pretty much the same. Surprisingly the R15 Pro has a non-removable battery of 3400mAh which is slightly weaker than the one in the R15 that has 3450mAh. Both of the R15 and R15 pro feature fingerprint sensor in the rear area. These are some amazing aspects from these amazing duo the R15 and the R15 Pro from Oppo. They are undoubtedly great options for getting great smartphones with high quality and new technology.